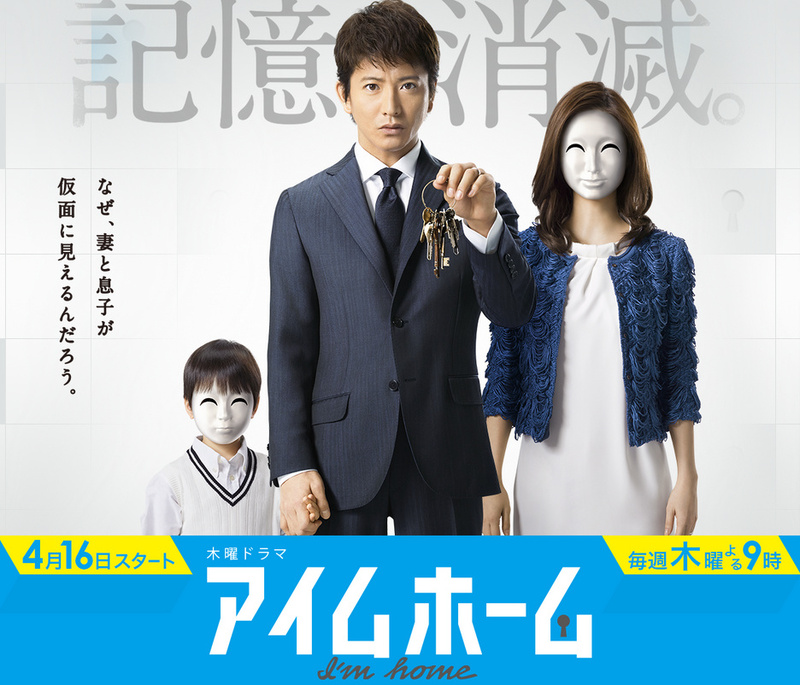 After an accident, Ieji Hisashi (Kimura Takuya) wakes ups with partial amnesia unable to remember the past 5 years of his life. While spending 6 months in recovery, he finds out that the woman he used to be married to is his ex-wife and that he got re-married to Ieji Megumi (Ueto Aya) and they now have a son. To make matters worse he us unable to see the faces of his wife and child: he sees them wearing masks. After losing the top position at his job and being demoted, he finds himself unable to get his life back without his memories. Hmm, I am not sure I got the real suspense explained in the summary, but if you watch the first 10 minutes of this drama you’ll understand it immediately. This drama is what me and Jenji call “A Takuya Drama”, meaning it is perfect for him and he just makes the character his, so you will be amazed no matter what. The thing about this is that he only appears once a year with a drama, and every time he does he either makes a “what is this” or a “dear God yes” types. So, having him do a “Takuya Drama” is very nice to experience. I have personally loved Ueta Aya since her first dramas, so having her in the role as a mother/house mother is quite the difference – and opposite Takuya even better. The only thing I was annoyed about was that they weren’t great in hiding the actress’s pregnancy. I mean I could see her bump - even if they tried with ‘movie magic’ to make it look like she’s not, I could tell (blame that on my years of TV watching). But the general audience wouldn’t necessarily notice. The drama was great to watch, and very enjoyable. I felt his frustration and hers – and I liked how everything made sense at the end. So, this drama I most defiantly would call a great drama with a good story and superb acting.